Europe’s current online gambling regulation is highly fragmented causing many problems for consumers, gambling authorities and online gambling companies. 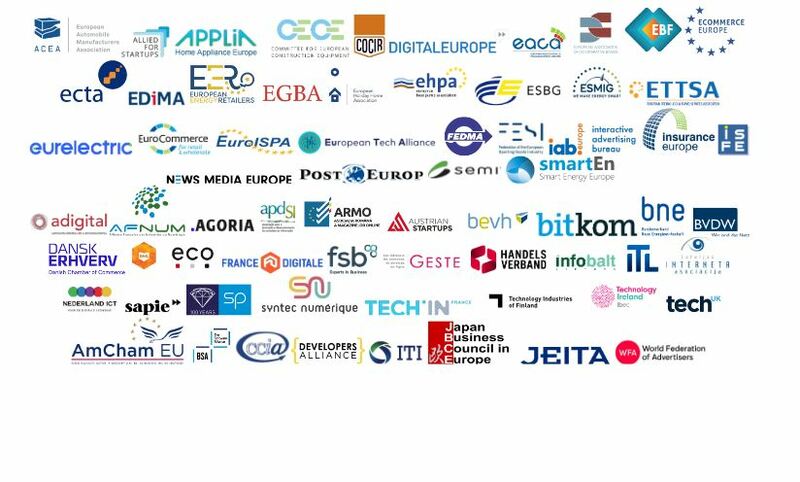 Since the launch of the EU Digital Single Market the European Commission has been committed to deepening integration of the digital economy and ensuring consumers are better protected online. But that has not been the case for the millions of Europeans who gamble online. 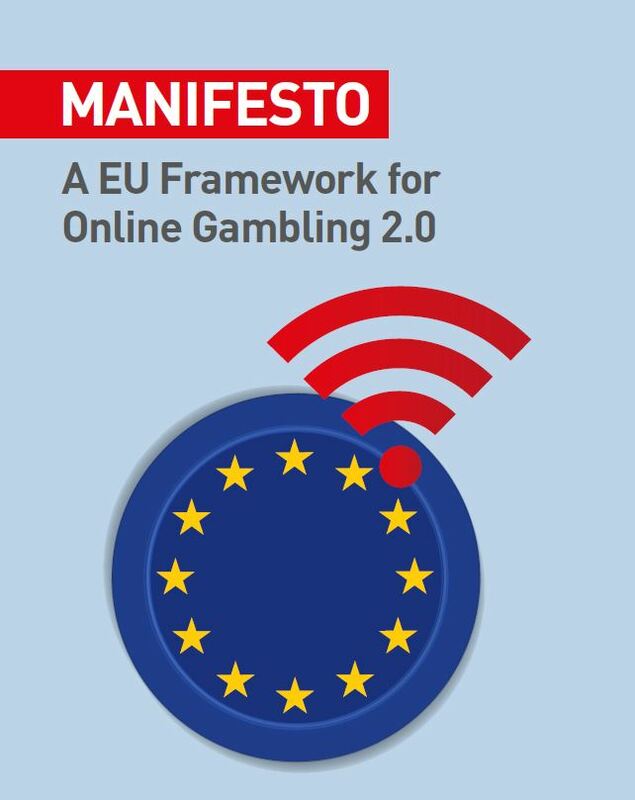 The most recent European Commission Communication on online gambling in Europe is from 2012 and, given major technological and regulatory developments since, is out of date and should be reviewed. The Greek Ministry of Finance (MoF) published a draft law and a consultation for the opening of the online gambling market. 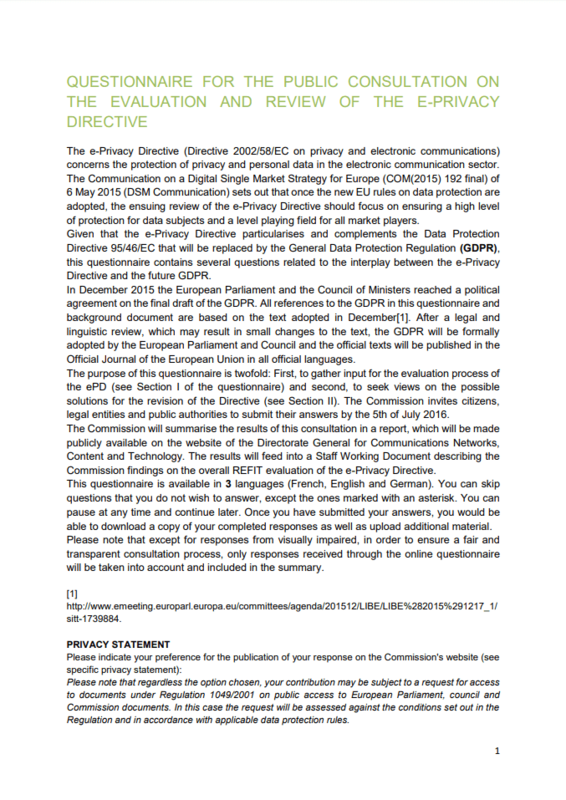 The consultation closed on 5 October 2018. The draft law aims in ending the current temporary licencing scheme and foresees the establishment of permanent licences of 5 years for live casino, live poker and betting, in order to modernise the current legal framework and follow European examples of best practices. The draft law, which partially amends the current law, establishes an extremely high licencing fee of 1m euros for live games and 4m euros for betting. It excludes RNG games such as roulette or black jack, while it foresees additional financial requirements: bank guarantees (500k euros), minimum capital (200k euros) and a fee of 10k euros to participate at the licencing procedure. 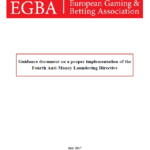 We, the European Gaming and Betting Association ( “EGBA” ), the association representing the leading online cross - border licensed gaming and betting operators in the European Union ( ”EU” ) , present this guidance document on the transposition of the Fourth Anti - Money Laundering Directive (hereinafter the “ Directive”). 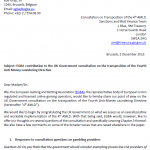 We, the European Gaming and Betting Association ( EGBA ), the representative body of European Union regulated and licensed online gaming operators, would like to hereby share our point of view on the UK Government consultation on the t ransposition of the Fourth Anti - Money Laundering Directive (hereinafter “4 th AMLD”).